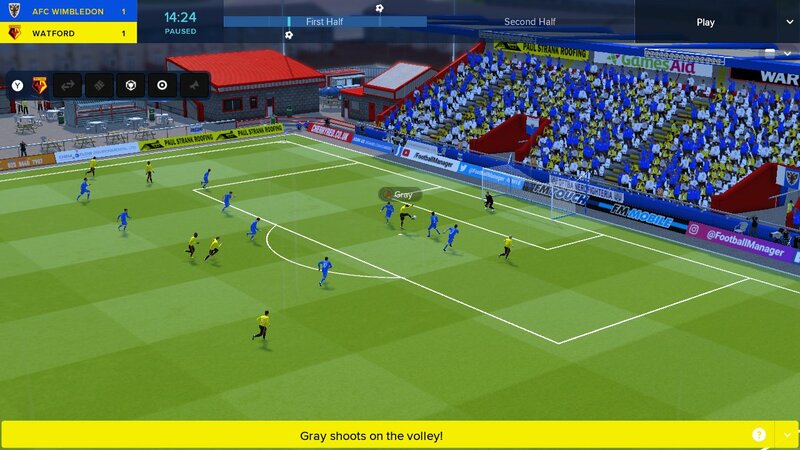 Is Football Manager Switch a worthy alternative to the PC and Mac version? According to Craig, yes, yes it is. There’s a saying that goes something like: you can never have too much of a good thing. While for certain things this is undoubtedly true, I would’ve said the same thing for Football Manager only a few years ago. I’m not a recent convert to the Football Manager merry-go-round, in fact, I’ve been here since the good old days of Mark Kerr and Championship Manager. The past few editions have certainly tested my patience though. If it’s not your third-choice striker whose contract status is literally set to ‘backup’ bemoaning his lack of playing time it’s some left-back threatening to start a dressing room revolt, or a journalist after a response to comments you made about someone two months ago. Slowly but surely Football Manager has become less about the Football and more about the managing. If that’s a direction that developers Sports Interactive want to take it, then I’m not the target audience. Maybe you should try FM Touch on PC mate. It’s geared towards faster gameplay. I liked the idea in principle of FM Touch but didn’t really want to play it on my iPad or iPhone. I also didn’t really want to play it on my Mac when I had bought the ‘full fat’ FM version that had frustrated me for a number of years now. It’s a bit like buying a roast dinner and only eating the Yorkshire puddings. Sure, you still enjoy the Yorkshires, but everything else is still on the plate – meaning that you have to stare at it whilst chewing. Thankfully, I’ve found the perfect in-between thanks to the Switch. Football Manager Touch 18 on the Switch is a great addition to the platform and due to the console’s handheld nature, it’s perfect. Perhaps my current game as Austria Vienna (one defeat in 17 domestic games at the time of writing) which is going exceedingly well has something to do with it, but I’m loving the simplicity of FM once more. Not only that but playing the game on the TV is also an added plus. It has a lot of restrictions like a limited player base, only three countries running at a time and some stuttery mouse movement but honestly, it’s made me remember what I love about Football Manager again. So much so that my new home for Football Manager will probably be on the Switch for the foreseeable future. As long as Sports Interactive continue to support the Switch with annual editions, I’ll be happy to continually buy them. Here’s to my rekindled love of Football Manager!